In the construction realm, granite is widely considered as the best natural material for interior as well as exterior designing. While the major credit goes to that its impeccable physical properties, the availability of myriad granite colors and shades does have a role behind its worldwide popularity. Interestingly, availability of different granite colors is something that has made India one of the largest granite exporters in the world in the recent times. There are about 200 granite colors and varieties that differ from each other in terms of color and surface design patterns. Talking specifically about Indian granite, it comes in more than 150 variants. Geologically, granite is a mixture of several minerals, such as silica, feldspar, quartz and so on. As far as its development is concerned, it’s formed when magma cools down over years and centuries under intense pressure. Now, the question arises if the basic composition of granite and its formation is more or less similar regardless of its place of origin, than what brings such variations in this natural stone? Well, the answer lies in the proportion of constituent minerals of granite. Simply put, different minerals have different colors, and hence the quantity of one of more minerals in granite decides its color. 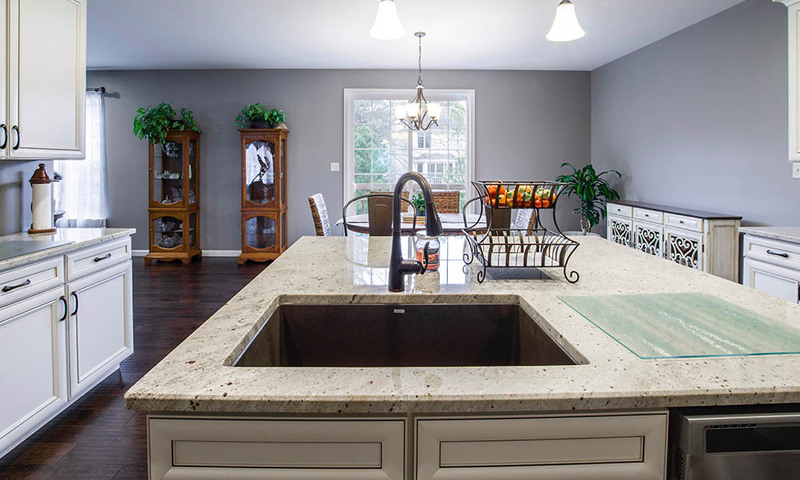 Continue reading to know about some of the most sought-after colors of granite and how it gets those colors. This is by far the most preferred granite color. It looks simple yet has a royal appeal. 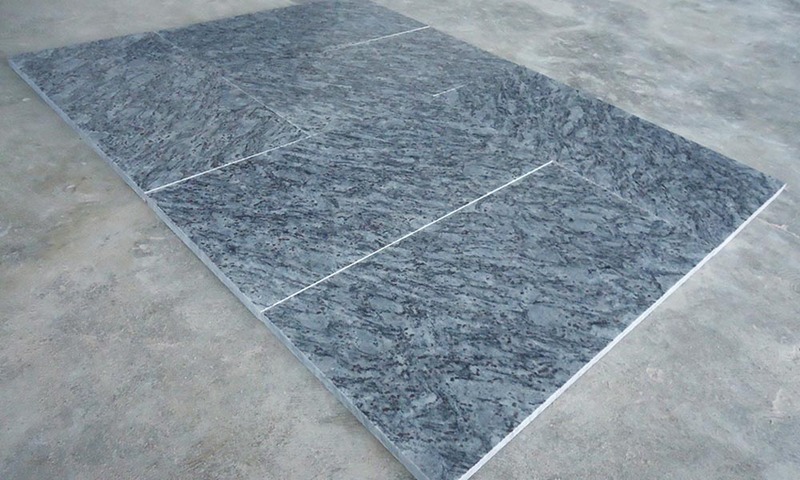 An iron- and magnesium-rich igneous rock, known as gabbro is responsible for the black color of granite. In technical terms, a stone must have at least 20% concentration of quartz, which imparts a white to milky shade to granite. Sadly, black granite like Absolute Black and Black Galaxy granite do not qualify this specification. Having said that, it still bears all the claimed properties of any other granite, and natural stone lovers shouldn’t be afraid of adding black granite to in their home to boost its design quotient. Feldspar is the mineral responsible for the color of beige or brown granite. This means, different shades of feldspar give different tones of brown or beige to granite. As a matter of fact, pure white granite doesn’t exist. 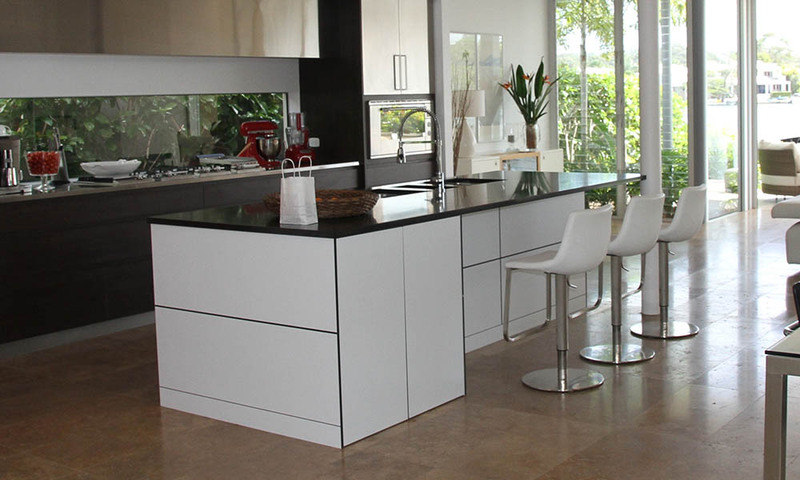 To the least, a blend of milky or creamy tones due to alabaster from feldspar and quartz will always be there. Most white granite varieties have tinges of black, which is due to the presence of amphibole and/or gabbro minerals. Likewise, hints of brown in predominantly white granite are because of amphibole and/or feldspar minerals. 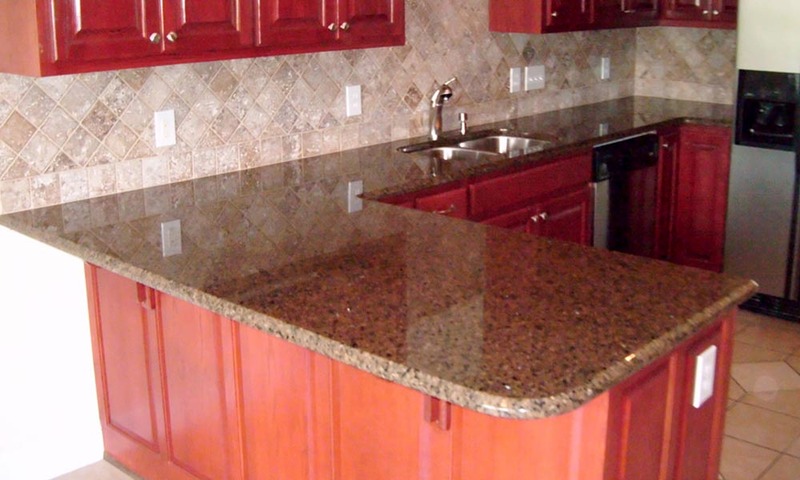 Pink and red granite had never been so popular until recently; all thanks to advancement in granite processing technology that not only introduced new finishes of granite, but novel applications too. Today, people all over the world are confidently using these granite countertops in red and pink to transform their inner and outer spaces. While the pink granite is capable of bringing a romantic charm, red granite is something that can lend a blazing radiance to your property. Potassium feldspar is the mineral that imparts such beautiful shades of red and pink. Besides, in case you find granite with deeper tones of red, it is quite possible that it is due to iron oxide. Similarly, lava stone or quartz is usually present in granite, which has evenly red surface without much streaks or spots. This could probably be considered a new entry to the scene, but has become fairly popular in the last couple of years, mostly as a design element. Larvikite and labrdorite are two minerals from the feldspar family that majorly lend azure tones to blue granite. It can be thoughtfully matched with other colors of granite to boost the décor of your living spaces, kitchens and even bathrooms. Hope, this article will add to your knowledge of natural stones, especially granite. All the above-discussed granite colors in multiple shades are available with Regatta Granites India. For product information or sales enquiry, you can view our product galley or call/mail us at mobile no./email id. For quick quotes, you can fill the form here. ← How to Make Effective Granite Cleaner at Home?